Are you still in doubt about what is the best way to learn English: a face-to-face or an online course? At this post we will talk about the best way to achieve effective learning. Before making a decision, a few aspects should be considered. Sometimes, people just value the convenience. Be careful! You need much more than that to make a good choice. 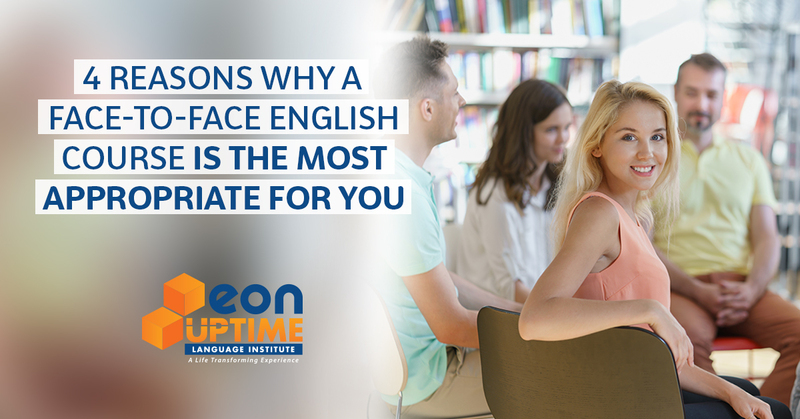 So, pay attention to the four qualities that just a face-to-face English course can provide. Besides providing high-quality content, the face-to-face courses are capable of creating an appropriate environment for the use of the language, enabling the students to learn and think in English, by searching for the solution of problems presented in a 100% conversation class. What is the best way to practice what you have learned? Through the contact with other people who are learning or who know something about the subject. This interactive flow, in addition to the dynamic course material and a unique methodology, provides a real communication evolution at the language. It’s what everybody says: practice leads to perfection, and with other people around, the process gets more interesting and pleasant. It’s certain that the presence of an instructor in the classroom, in touch with the student, is a great way to solve doubts, practice the content and help the student avoid pronunciation and context mistakes. Therefore, the instructor is essential for motivation and discipline. The group practice simulates the real life. Besides that, the students can help each other in an interactive and constructive way. That’s how we take the most advantage from the learning process and achieve the best results. See? Considering just the convenience is not always the best way! So, remember: In order to learn a language the priority should be to acquire it in a really effective way. Only serious language institutes, with qualified instructors who can deal with different students and their difficulties, can provide the fluency acquisition in an effective way and in a shorter time than online courses.